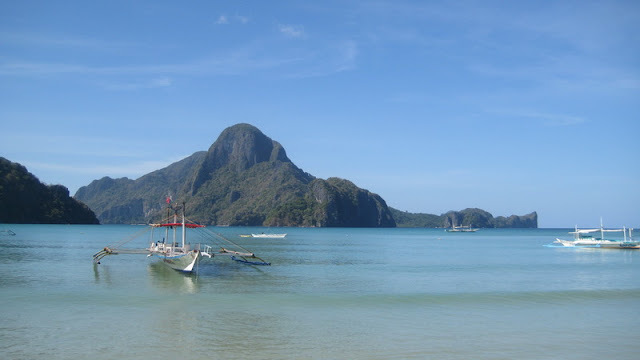 We planned to go to El Nido for years but it can't seem to push through, it was our 3rd attempt. Out of the original group of 4, Grace & I were the only ones left to discover El Nido on our own. We arrived late afternoon in Palawan and had a sumptuous dinner at Ka Lui's. I had the taste of the juiciest tuna. Early morning of Dec 27, we’re cramped in a van with the locals & foreigners on our way to El Nido. It was a long 7 hours trip. 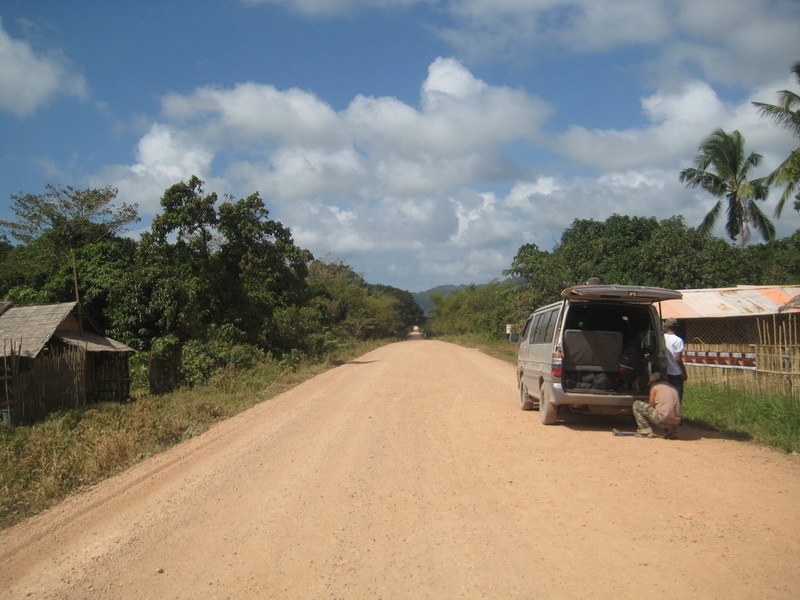 It wasn't boring; we saw the rural side of Palawan. 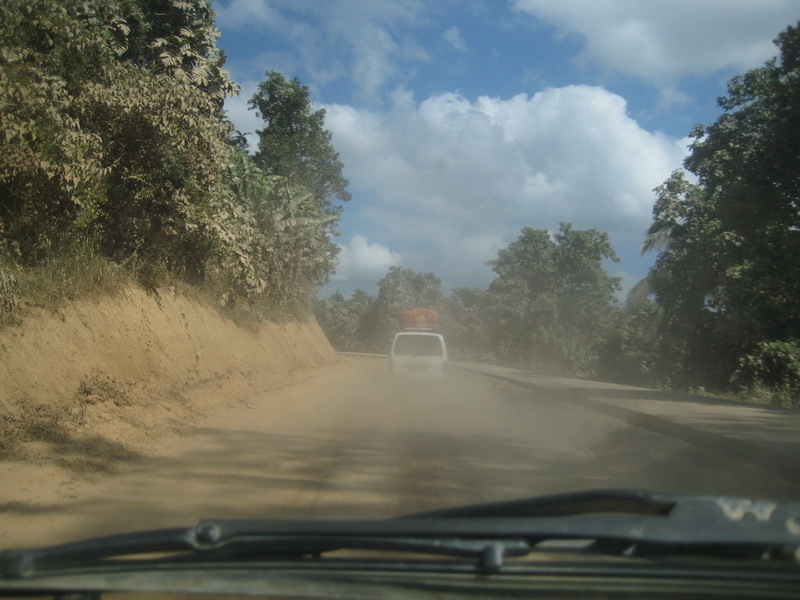 The road is paved but nearing El Nido, we rode through dirt roads with the van unleashing clouds of dust. We even got a flat tire on the way. 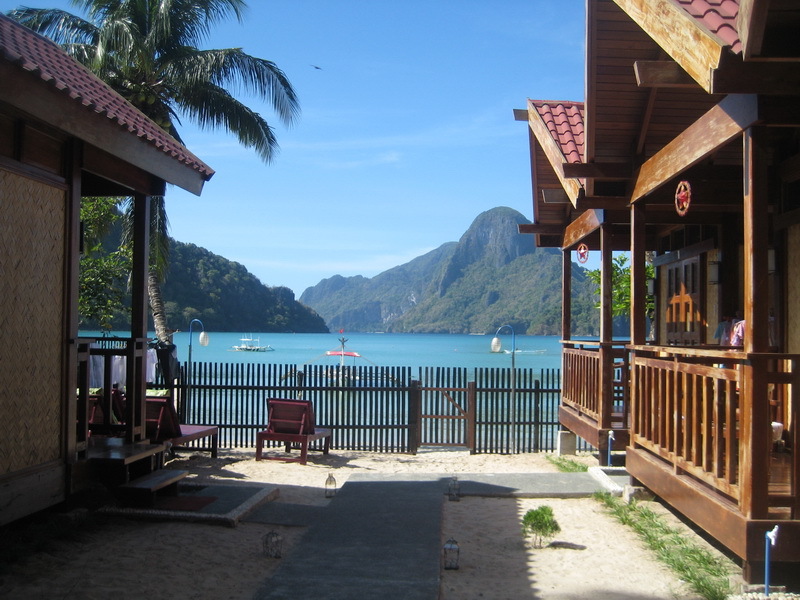 It was past 2pm when we reached Entalula Resort, good thing we booked in advance because the accommodations in El Nido were already full. 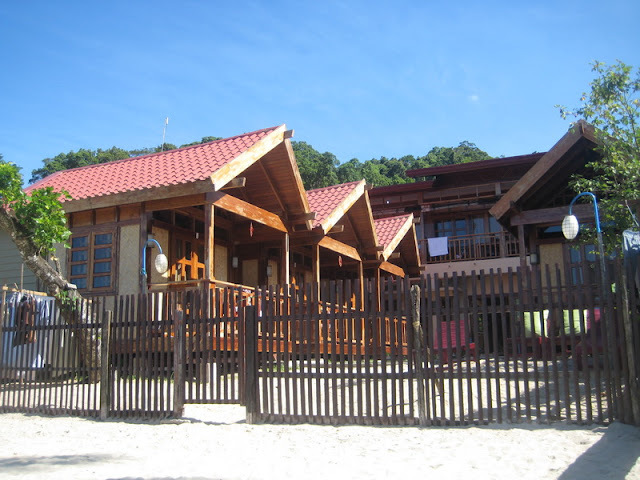 It was the only hotel in the town that attracted me with its nice design, plus it has a good beach front location. I’ve learned that the son of the owner is also an architect, & he designed it. 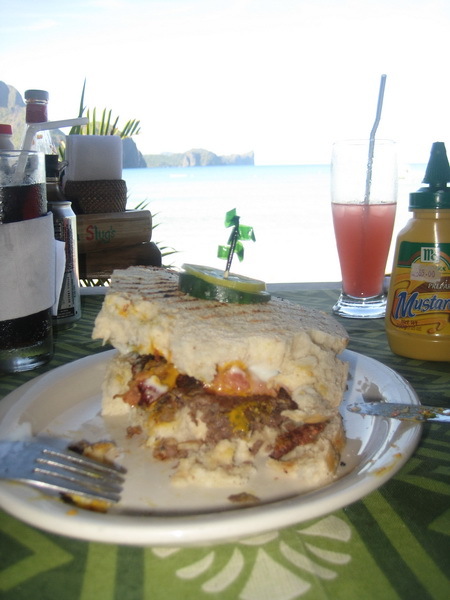 We had late lunch at Sea Slugs, munched on really big sandwiches. The beach in the town is not crowded & still has a laid back feel to it. The beach is made of fine light brown sand; the water is green on the horizon. It was mid afternoon; we enjoyed siesta & just lounging around. At sunset, Grace & I took a relaxing dip in the warm waters of the sea. For dinner, we came back to Sea Slugs. The tables are set at the beach. The waves went crashing on our feet while we have our candlelit dinner of grilled fish. A woman in her seat tumbled when a big wave came in. 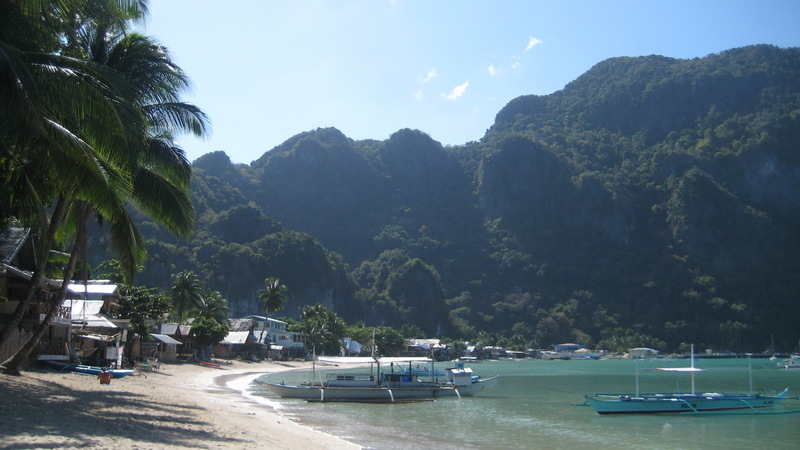 That night El Nido‘s packed with Westerners, only a handful of local tourists were around. We went back to Entalula to lounge & relax with the sound of the sea. That night Mico invited us to join him & his cousins to chill-out at Sea Slugs & we said yes. We met with RB, Cyrus & Don-Don. We enjoyed the exchange of stories & had some good laughs. And I can’t stop smiling whenever I set a glimpse on the singer who they said looked like “Lolo Dom” from the Little Pupung comic strip. But he is a really good musician & singer not like the other guy who murdered Jason Mraz’s song. They even showed us around and gave us a taste of the other side of El Nido. We stopped by "Hard Rock", a bar/ dance club. It's a small space, complete with disco lights, and when you look up at the ceiling it has a wooden mat cladding, which is much unexpected. We roamed around the streets. It was a ghost hunt night, we looked for the ancient haunted tree which they say was a Balete Tree(Rubber Tree) at the school grounds but when I peeked at it, instead it was a very big Acacia Tree. We even passed by their grandma's house, which they also said was scary. We even dared to go to the cemetery but decided not to push through with it. It's fun to be meeting cool & fun people along while traveling, it adds up some spice to our travel. That night the Bacuit Bay is beautiful with the moon illuminating the sea.